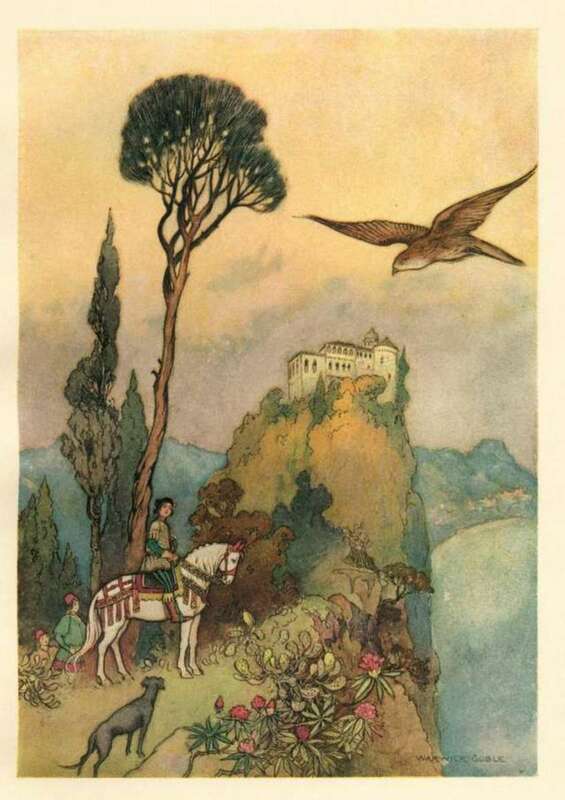 Irish folk tales are very different from the fairytales of mainland Europe which were gathered together in collections by Hans Christian Anderson and the brothers Grimm. 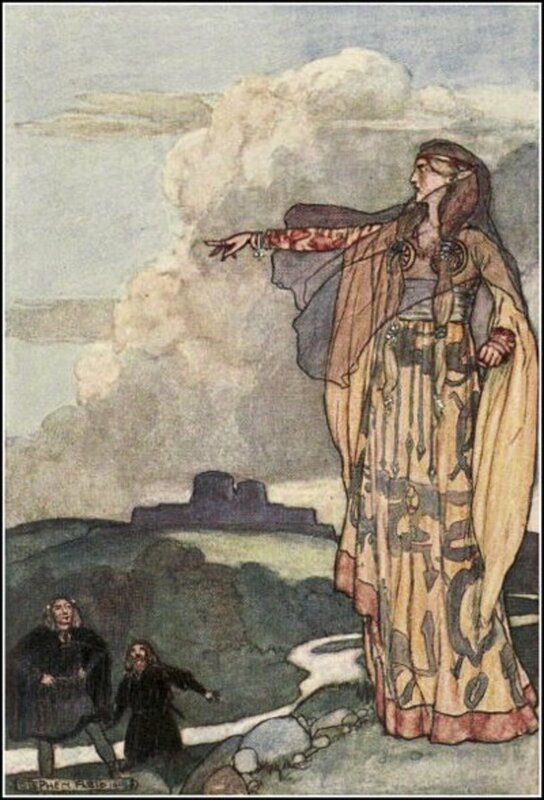 Irish folk stories centre on a very different group of characters - heroic warriors, deadly goddesses and mischievous supernatural creatures, rather than the fairy godmothers, talking animals and wicked stepmothers of European folk tales. local folk tales of supernatural beings. 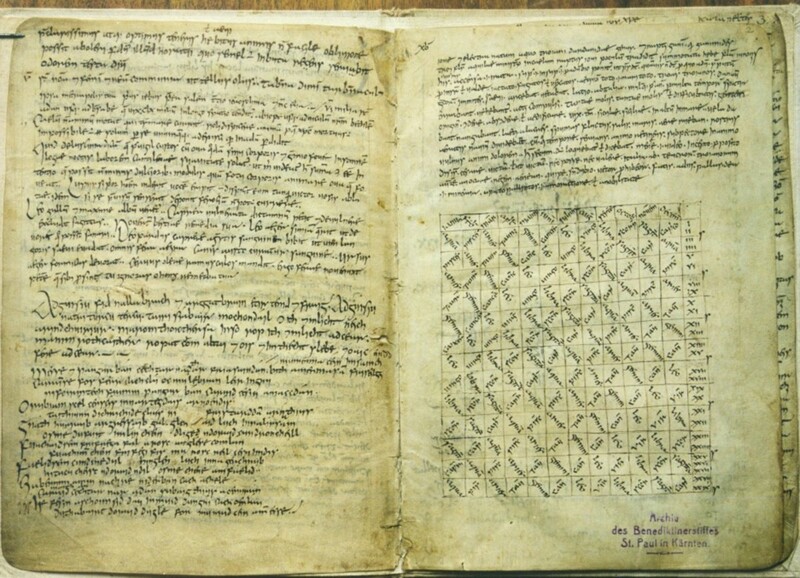 Medieval Irish monks were the first to write down the ancient Irish myths and fairy tales. The Irish storytelling tradition has always been essentially an oral tradition. This is why many different variations of the same fairy tale can exist in different parts of Ireland. It also explains why famous fairy characters in Irish mythology can become confused and interlinked as storytellers concentrated on staying true to the essence of the story, while changing the details to suit their audience. An interesting example of how characters could become confused with each other is the case of the celtic goddess Aine and the early Christian Saint Brigit. Aine was associated with fire, and was credited with acting as an inspiring muse to poets. Saint Brigit was an early Irish Christian who founded a convent in Kildare but popular legend associates her with fire - there was a sacred fire reputedly kept burning at her convent from her death in 525 AD until the Dissolution of the Monasteries in the 1500s, and she is also considered to be the patron saint of poets. This easy mixing of native Irish stories and culture with historical Christian figures helps to illustrate how Irish fairy tales adapted to social changes and survived ,albeit in altered form, until the present day. In fact, despite their heretical nature, the earliest Irish myths and fairy tales were written down by Irish monks. From the eighth century on, Irish monks seemed to have felt secure enough in their Christianity to value Irish fairy tales as an interesting historical legacy, rather than as a threat to Christian doctrine. 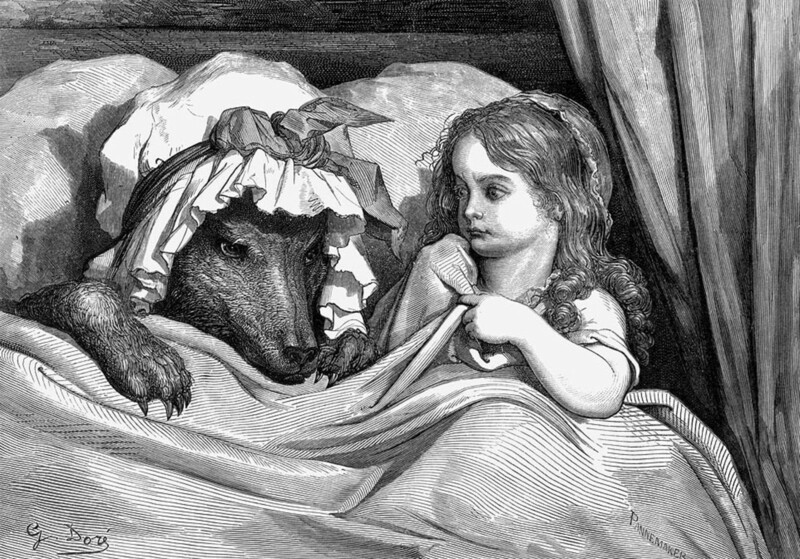 Irish fairy tales have held on stubbornly into the modern age, even finding a place in Irish Catholic doctrine as people described the nature sprirts they feared and respected as angels which had fallen from heaven but been saved from hell. If there is one thing which has augured the end of the Irish fairy tale it has been the dawning of the age of television. TV more than anything else has damaged the oral tradition of sharing stories round the Irish hearthside. That said, Irish fairy tales have been laid down for posterity in a variety of excellent books. And there are also modern Irish writers who have been heavily influenced by Irish mythology and they are, in there own way, creating a new body of Irish fairy tales for the current generation. There has even been a recent animated film inspired by Irish mythology - The Secret of Kells (2009). 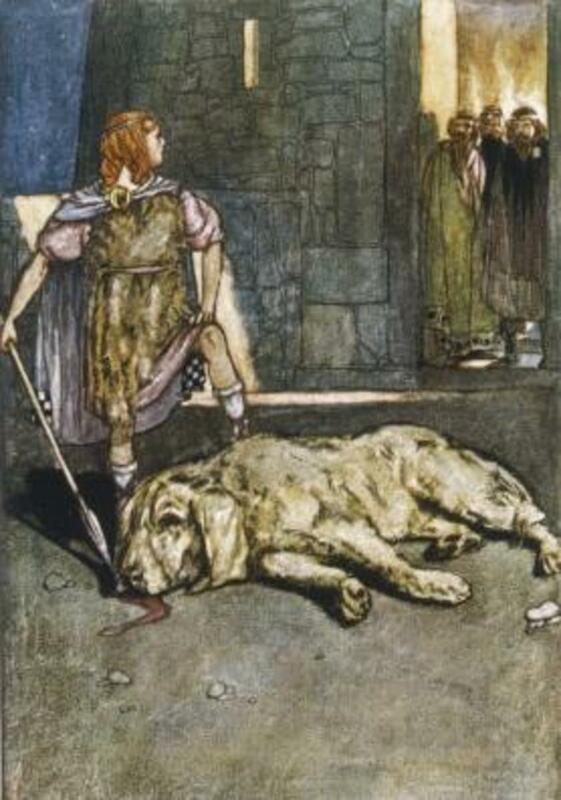 Scene from the story of how C Chulain got his name - because he accidentally slew the hound of Cullen he offered to take the guard dogs place. Ever after he was known as Cu Chulain, the hound of Cullen. Celtic Irish society revolved around the cult of warrior heroes. The most important people in early Irish society, equal even to the kings, were the Seanachie or storytellers. 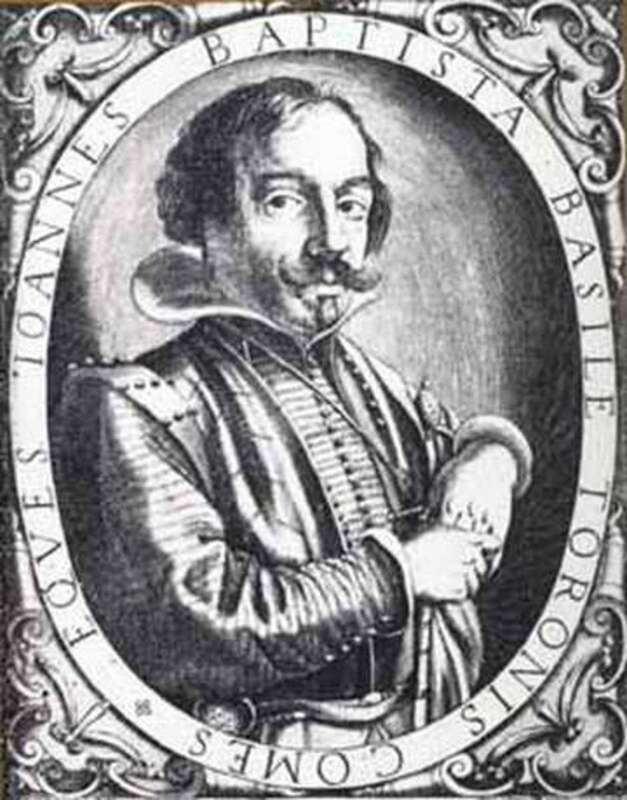 A major part of these bards' duties was to compose poems in praise of the daring deeds of kings and warriors, hence they were held in such high esteem in a warrior society. Irish wars at this time consisted mainly of targeted raids aimed at stealing cattle (the measurement of wealth in Irish society before coins were introduced by the vikings), and individual contests of strength. The two great heroes of Irish warrior myths are Finn MacUail, leader of a band of warriors known as the Fianna, and hero of the Fenian cycle of legends, and Cu Chulain a warrior of supernatural strength and abilities, the hero of the Ulster cycle of myths. Although the tales surounding these two figures are warrior stories, and may even be based on real historical figures, they also have many fantastical elements which allow them to be classified as fairy tales. Both heroes use enchanted weapons and magical abilites as part of their success. And both must contend with hostile supernatural beings such as the Morrigan, the Irish Goddess of death and destruction who wants to claim them for her own. These warrior heroes face not only human enemies but an array of supernatural forces - from druids and sourceresses to mythical gods and godesses. The other major theme of early Irish legends is romance. Even the most hardened of warrior heroes, had a single true love, a woman who could bring them to their knees. These early romances offer an intriguing insight to the position of women in Irish culture at the time. The women are often powerful figures who don't tolerate any betrayal or slight to their honour such as Emer. Some are out-and-out sexual predators like Queen Maeve, who use their wiles to gain political power and economic status - and who lose their temper when a man refuses to play their game. Others are beautiful but ultimately tragic figures like Deirdre who are victims of a society where young girls were offered in marriage to powerful but old and unattractive men. Soul-mates are common in Irish stories. One such in the story of Midir and Aideen where even magic cannot break apart their love. Other famous soul-mate pairings are Deirdre and Naisi, Emer and Cu Chulain and Diarmuid and Grainne. Sadly, many Irish romances end in tragedy such as the story of the Sons of Uisneach which centres on the heroine Deirdre and which is one of the 'Three Sorrows of Irish Storytelling'. Emer is widowed when Cu Chulain dies in a heroic battle and the flight of Diarmuid and Grainne ends in a tragedy to equal Romeo and Juliet. The other two 'sorrows of Irish storytelling' concern children - the Children of Tuirean and the famous story the Children of Lir. There are heart-wrenching tales but beautiful also, and a powerful warning about the cost of human greed and envy. I don't know if the Irish are more psychically aware, or just more culturally-attuned to believing in ghosts, but in all my travels I have never met a people with more tales of true-life ghost sightings as well as penchant for legends of haunted castles and dark fairies who warn of death. Many of my Irish friends swear they have seen a ghost at night, or have had a strange experience of ghostly premonition just before a relative died. Ghost stories have only become common later in Irish history. In early Celtic times it was believed that the dead passed onto eternal life in the Otherworld - they did not come back to haunt the living. It is most likely that ghost tales became more popular in the late Medieval and Early- Modern period, in line with the rest of Europe. 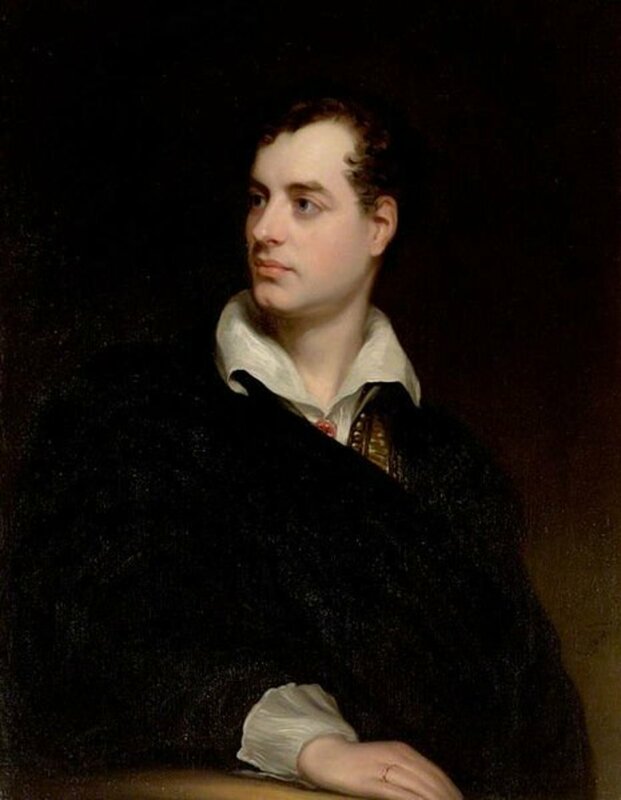 Writing at this time Shakespeare often used ghosts, such as that of Hamlet's father, as a key plot device - suggesting the great influence the idea ghosts had on people's imagination at this time. Ghost stories have also had a great influence on Irish literary figures. For example there is a tale told near where I live of an evil man who came back from the dead three times before he was finally successfully buried under a stone slab with his head cut off. Locals tell me that this was the inspiration for the Dublin writer Bram Stoker to write 'Dracula'. 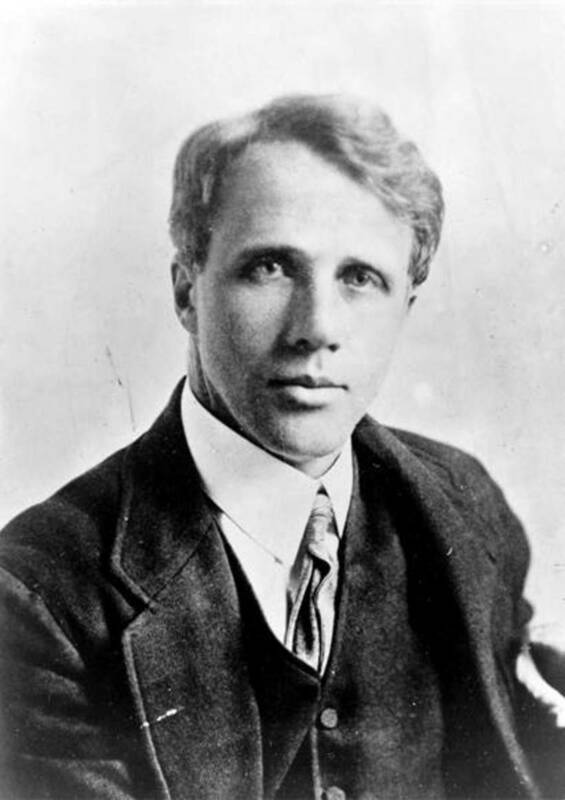 Oscar Wilde and WB Yeats have also written ghost stories, among others. Irish ghost stories are very much rooted in particular places. There is no ruined castle, no ancient building that does not have at least one tale of a ghost that haunts its walls. Often they are also morality tales - the tragedy which led to the haunting is a result of some sin or crime committed, and these tales offer a stark warning against such acts. An example from the area of Ireland where I grew up is the tale of Princess Maeve who is said to haunt Dunluce Castle on the north coast. It is believed her ghostly white face can still be seen at times in the window of castle tower where she was kept imprisoned by her own father. There are also much Irish folklore dating from the medieval period and beyond which concerns dark fairies as harbingers and bringers of death. The legend of the Banshee is the most famous. This dark fairy woman is said to give a heart-stopping scream when someone is about to die - if you hear that cry then the person who is going to die soon is you! The Banshee is a classic example of how Irish fairy tales have grown and changed over the years. 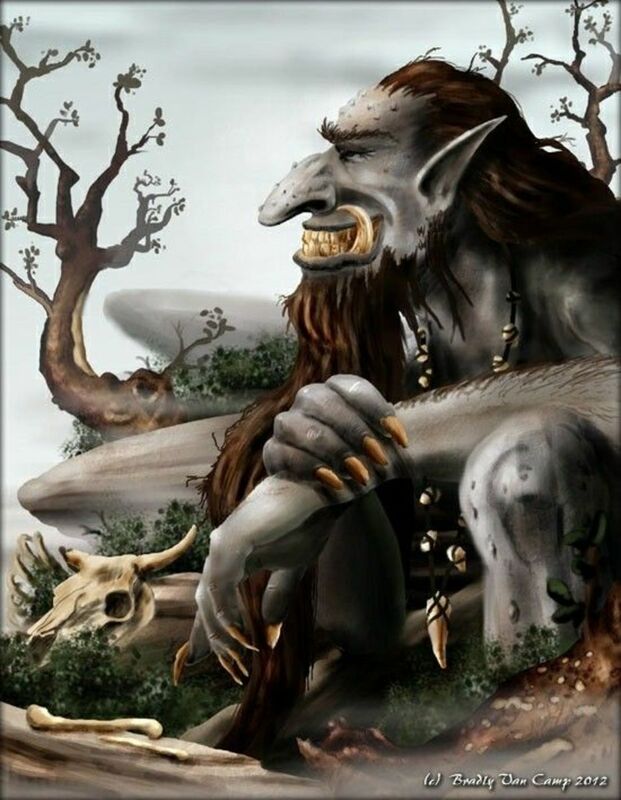 This legend is rooted in the Celtic goddesses of death and destruction, such as Magda or the Morrigan who would appear as an old crone in stories just before the warrior hero was about to die. Another dark figure of Irish folklore is the Dullahan, a headless horseman who rode the countryside on certain nights of the year bringing death in his wake. These tales may have been a mythological interpretation of the highway men who were very real and who haunted the roads of Ireland in the 17th and 18th century, making journeys hazardous and sometimes deadly. The little people, such as Leprechauns, Pookas, and changelings, and also the sea people such as the merrows and selkies populate local legends the length and breadth of Ireland. This folklore was gathered together by the likes of WB Yeats and Lady Gregory at the end of the nineteenth century, and reveal that the Irish mindset, despite centuries of christianity, had not lost its fascination with nature spirits. There are countless tales of leprechauns who gave tricky riddles, pookas who upended water pails and turned milk sour, local people who fell asleep near a fairy mound and were transported to the otherworld for a thousand years, and peaceful babies who were stolen by the fairies and swapped for a changeling who did nothing but fuss and cry. These tales of local folklore helped Irish people to explain phenomenon in a supernatural way, before the advent of modern science. They remain fascinating and lively tales, full of wit, wisdom and supernatural surprises. Audience? Reading Level? Purpose? Anything? 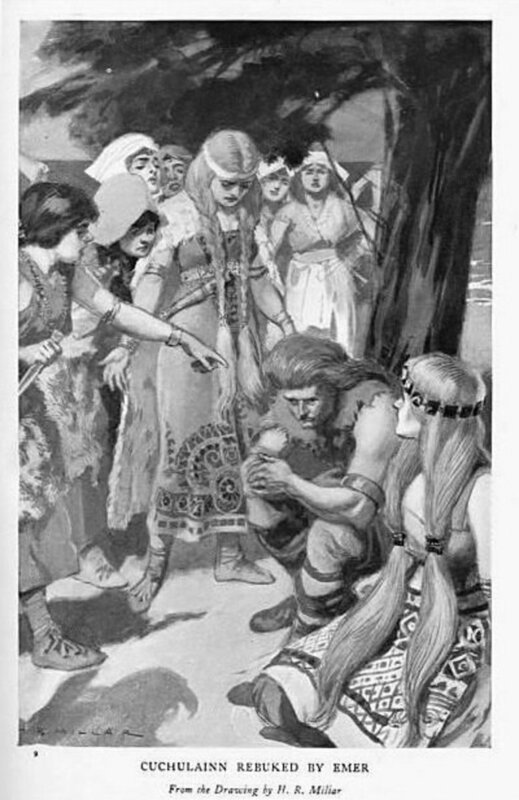 My Celtic Ancestor was a Morgan, I wonder if the name taken from Morrigan, Thomas Morgan born 1626 Wales, tall 7'4" Redheaded lived to 109. Lots of endurance. Thanks - I am glad you enjoyed the hub! Folk tales are something that has always fascinated me, no matter where they came from. This hub is a great introduction to Irish folklore. Great job. I agree the Irish know bow to tell a good story! Thanks for sharing. I never realized many of the tales originated from Monks. Fascinating origin. As I read through this interesting guide to my lineage, I thought back to my wonderful childhood as my siblings, cousins and I (all 472 of us! LOL) earnestly sat at my beloved Nana's feet as she wove wonderful tales of ghosts. However, what always impressed me the most was her hair raising descriptions of "the wailing of the banshee's". I can still see her dear face as she whispered in a voice so low we children would lean in to hear every soft spoken word. "And on dark moonless nights, when the wind is just right, you can hear the wailing of the banshee's." Just terrifying as the tale rolled off her masterful story teller strong sing-song Irish brogue tongue. No one since has been able to truly tell a story as she did. Fantastic hub and I'm gladly voting it up and sharing. I am always fascinated by folk tales from around the world. Thanks for writing the hub. Very interesting! I love reading about Irish fairy tales and folklore...well, Irish anything! Well done, a great read! And thanks for all your comments! ....well I am so enchanted by this labor of love I have started to play my Irish harp for you (in the spirit of Derek Bell) and would like to recommend to you the hubs of my buddy Gerry who is also from Ireland (his hub name is - Sligobay -) and ask you if you could put together a hub of your favorite traditonal Irish and non-traditional music) ..... one of my favorites - the 'Fisherman's Blues' album by the Waterboys! Thank you for this beautiful and informative hub! I am excited to become a "follower" to see your future hubs. 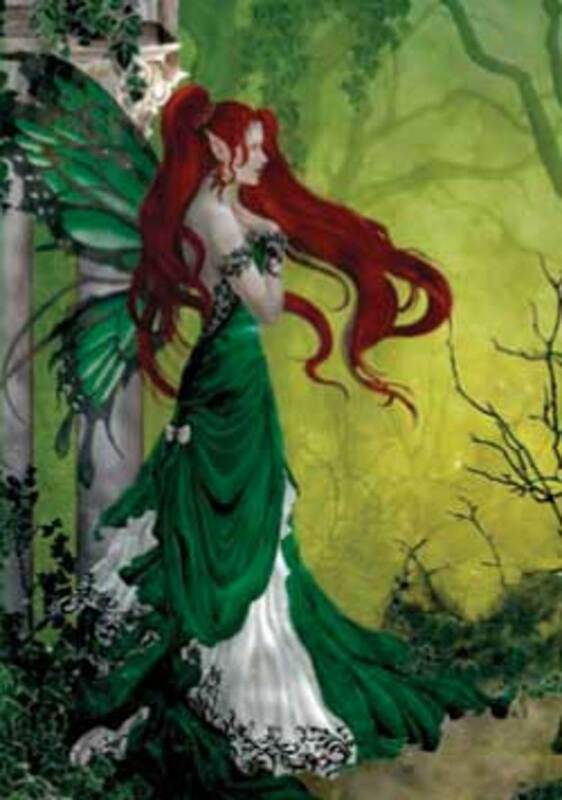 Very interesting hub about Irish Fairy stories and Irish Folklore. I enjoyed reading it. Happy St Patricks Day! Now there's an Irish Folklore Tale and true history rolled into one.